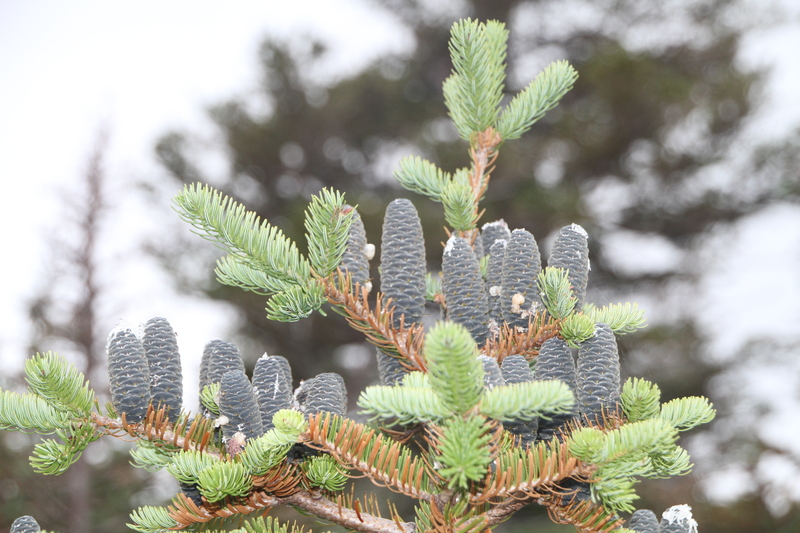 The structure of a needle of a conifer tree is surely one of natures most simply perfect designs. 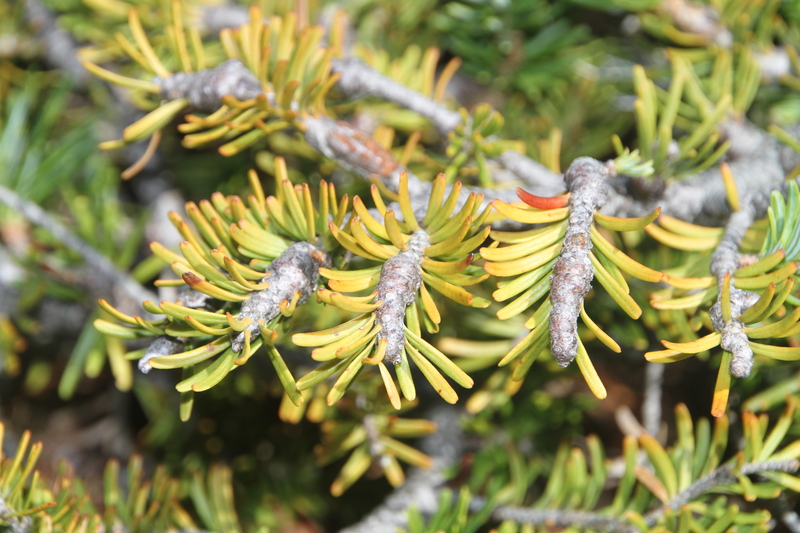 Compared with the diverse foliar expression of broad-leaved deciduous trees, the fashion statement of conifers is an understated matter of degrees, blunt to sharp, short to long, round to flat. 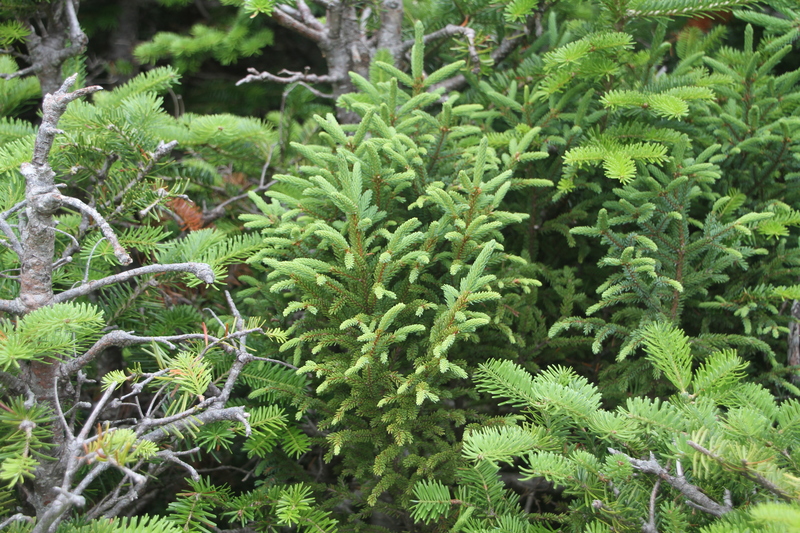 A conifer can be defined as any of various mostly needle-leaved or scale-leaved, chiefly evergreen, cone-bearing gymnospermous trees or shrubs of the plant order Coniferales, which includes pines, spruces, and firs. 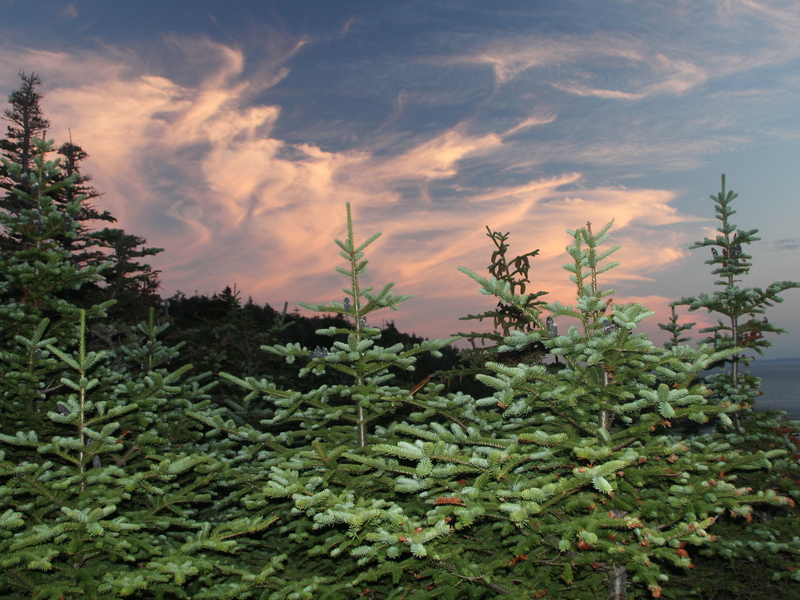 Most people think of Christmas trees when the words conifer or evergreen are mentioned. We memorize “O’Christmas tree, O’Christmas tree, thy leaves are so unchanging,” and millions of us seek the ideal shape in our once per year quest for holiday perfection. In other words, steady and monotonously conformist. 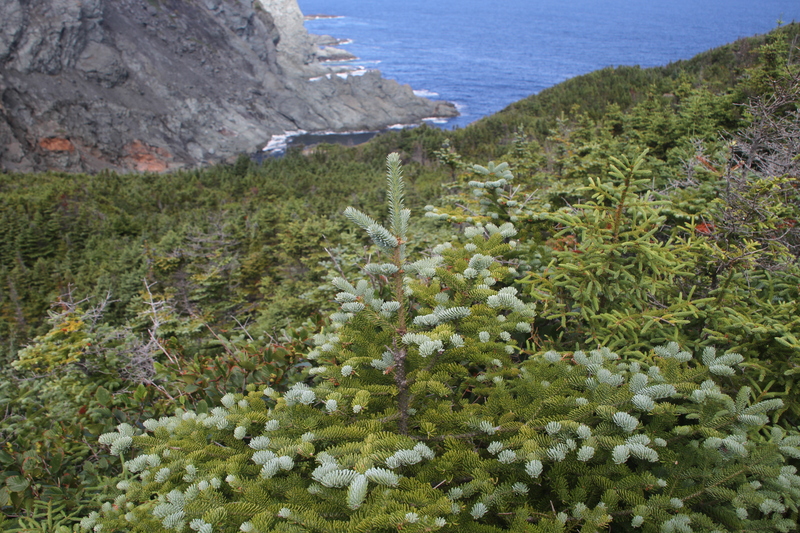 Far from that, to me a conifer is symbolic of a life lived to the extreme, on the edge. 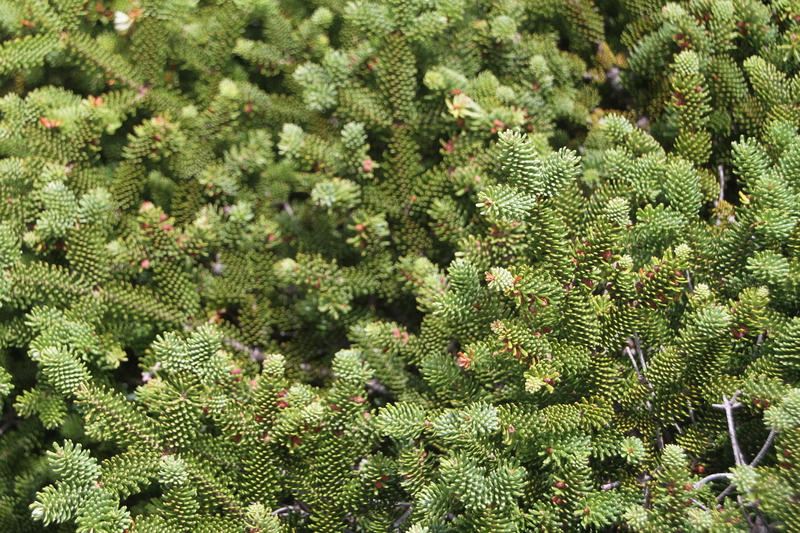 Conifers are trees of rugged, stressful environments. 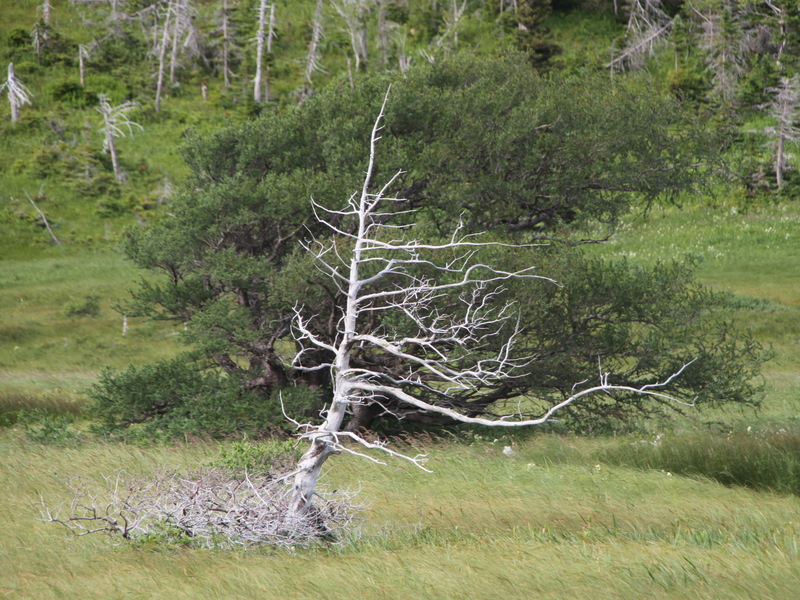 They’re the only tree left standing at the northern edge of the tree line in the boreal forest, gradually filtering out at the southern edge of the treeless tundra. They’re at the tops of mountains, the edges of the sea, the wettest of the swamps, the thirstiest deserts. They’ve been companions on some of my greatest adventures. 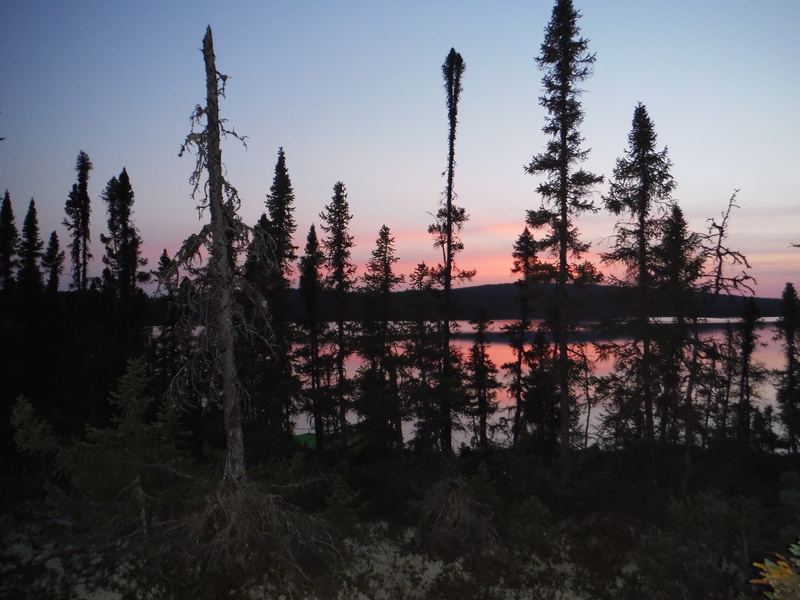 I’ve busted through barely penetrable thickets of black spruce to find trout ponds in the north woods of Maine, the fishing never quite as exciting as the journey. 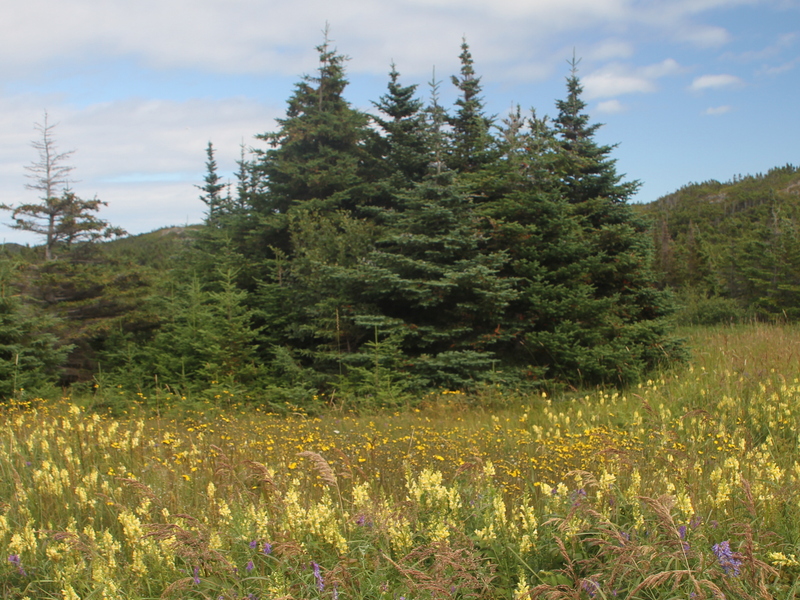 I’ve camped under their boughs on blankets of caribou moss in park-like settings of boreal forest in the wilderness of Labrador. Conifers have scratched my shins at the tops of mountains, and provided hand-holds on ocean cliffs. I’ve marveled at the tenacity to which they cling to life, and at the contorted shapes they assume, far from the chiseled perfection of a groomed Christmas tree. Their positions in some of the harshest environments seem to be frozen in a moment of anguish and agony that reflects the fierceness of the wind, the weight of the snow, or the stinginess of the rain. Shapes carry no secrets as one can read the direction of the prevailing wind, the shortness of a growing season, and the stress of competition for resources. The growing seasons can be so short, it seems like new growth barely appears before it’s forced to harden off in preparation for the next onslaught of extreme conditions. At the environmental extremes, death is never completely out of view. 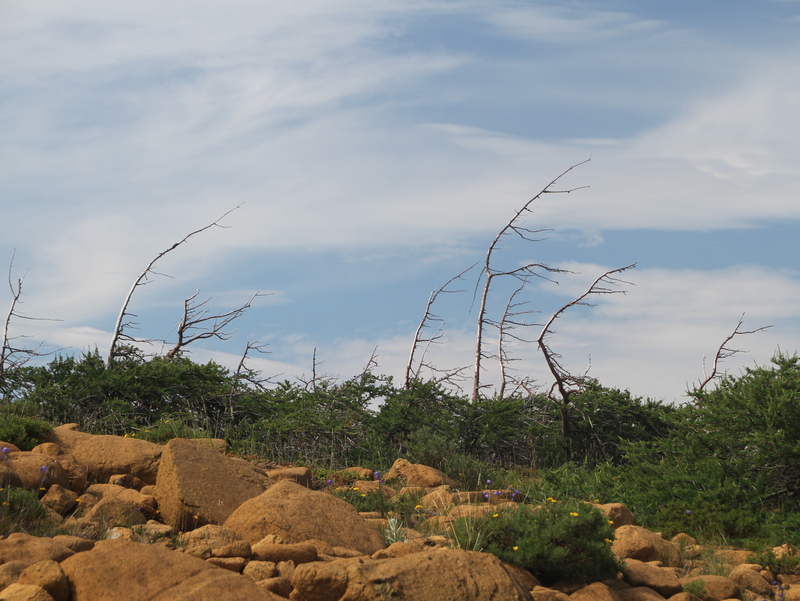 Severe environments ensure that many trees don’t survive. 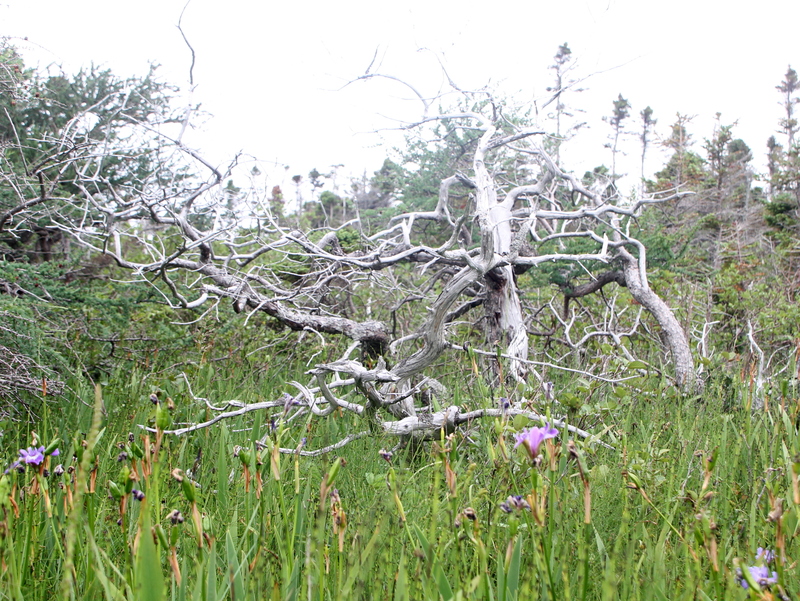 To walk with awareness among the plant inhabitants of such a harsh community is to face the truth of our own mortality. I look upon a dead conifer, and I see an inspiration for a human life well lived. For the conifer grown in a harsh environment, though its back may be bent, lived a nonconformist life, fought a good fight, and left behind a stately skeleton that stands strong long after its foliage is shed, a reminder of a noble life. So good to see you back, Dave! It appears I’ve missed another post as well in my spotty summer blog-reading. This was as beautiful a tree tribute as I think I’ve ever read! I too adore the conifer, it’s hardiness and its ability to live through even the ends of the greatest epochs. Alas, I’ve only the bald cypress to enjoy on my own property, but you can bet that the temperate rain forests of cedar and hemlock is the stuff my dreams are made of. I hope you won’t mind my linking this one directly on my blog. I will want to revisit this one often. Cheers! Good to hear from you Shannon, and once again, a comment from you makes my day! Please link away…it’d be an honor to be on your page!